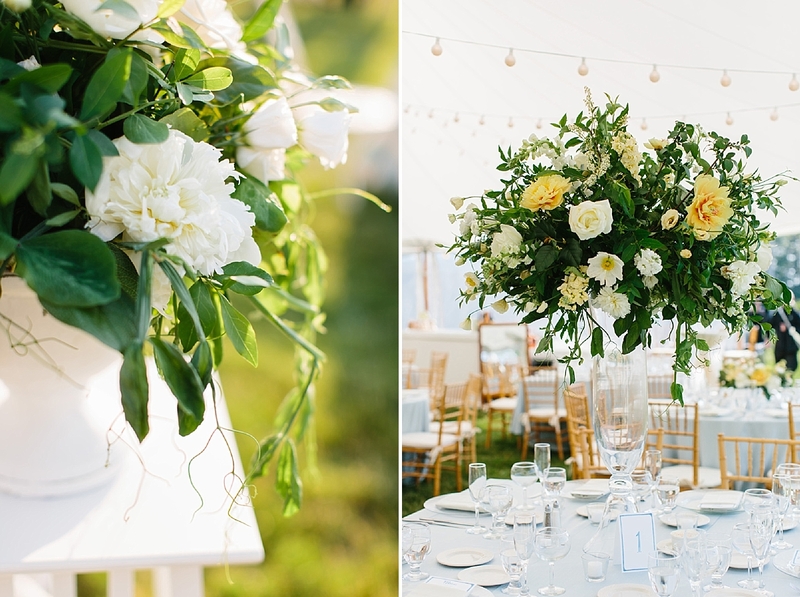 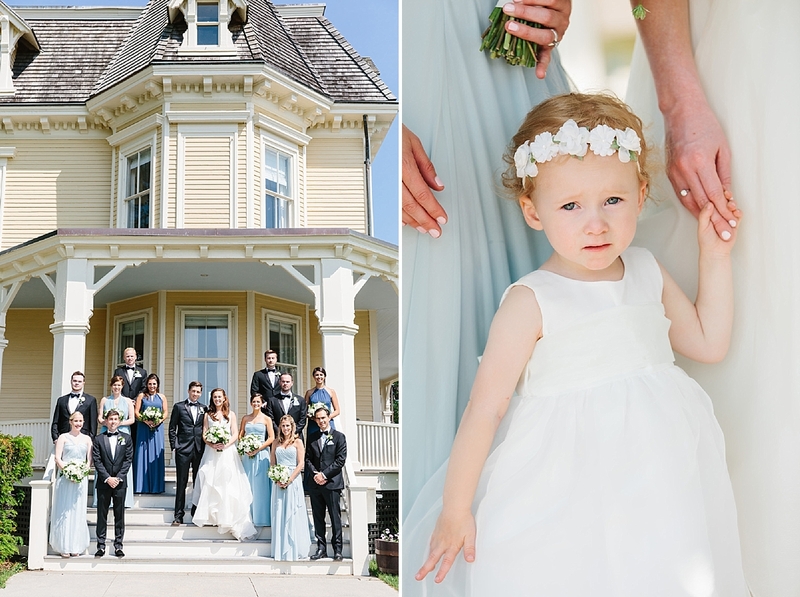 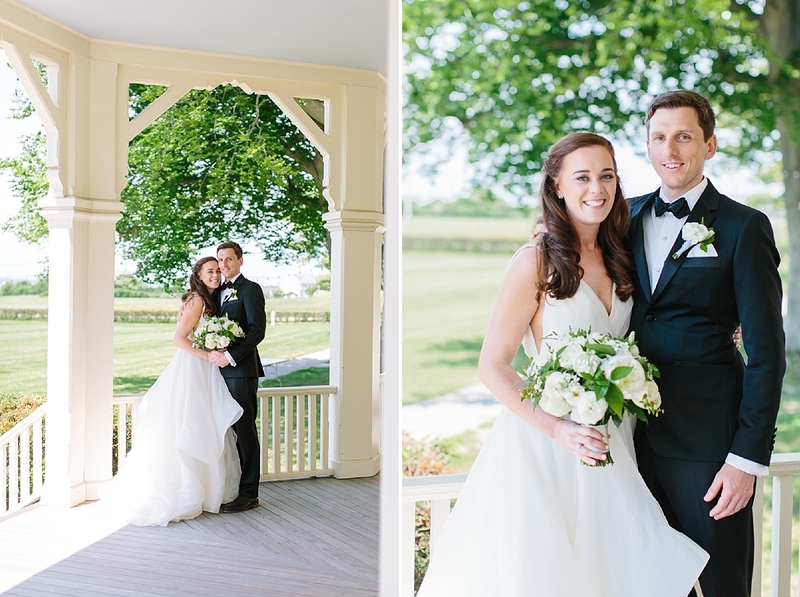 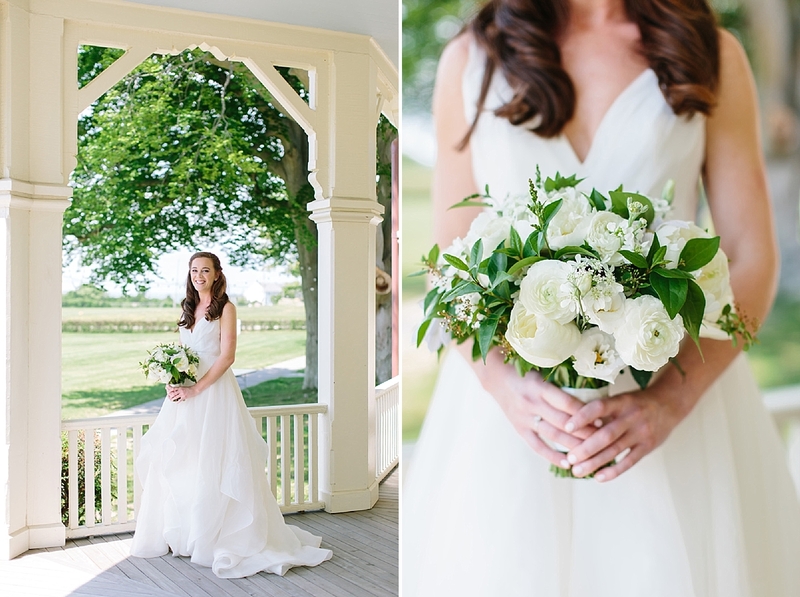 Alysa and Tim had the quintessential summer in Newport wedding on the beautiful grounds of the Eisenhower House at Fort Adams. 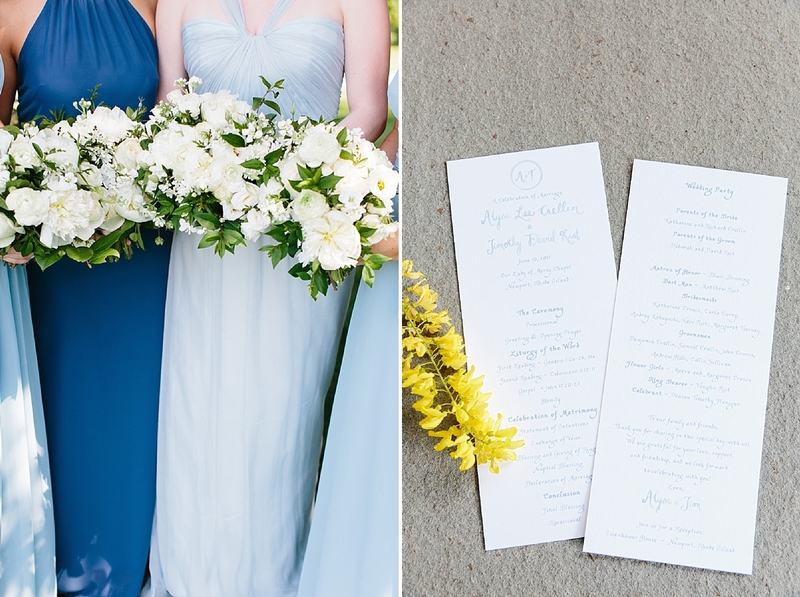 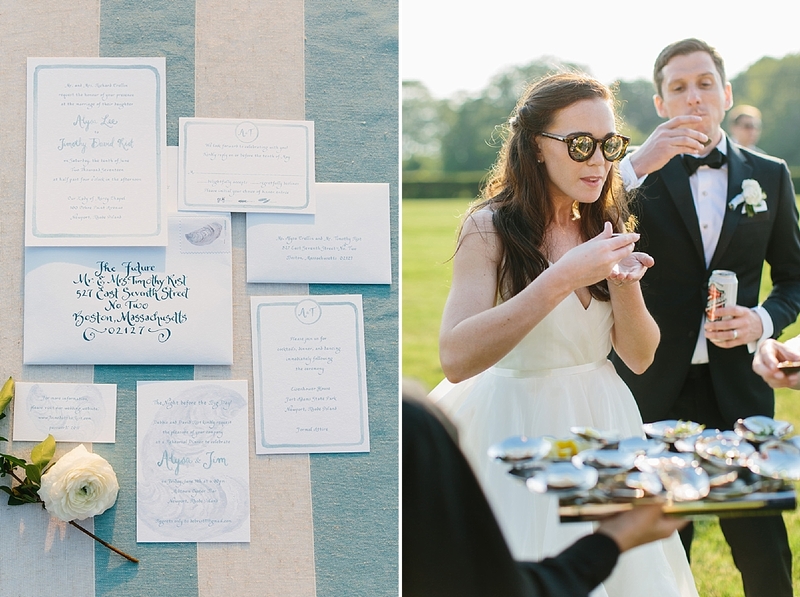 Their color palette of shades of blue was the perfect pairing with the buttery yellow facade of the Eisenhower House. 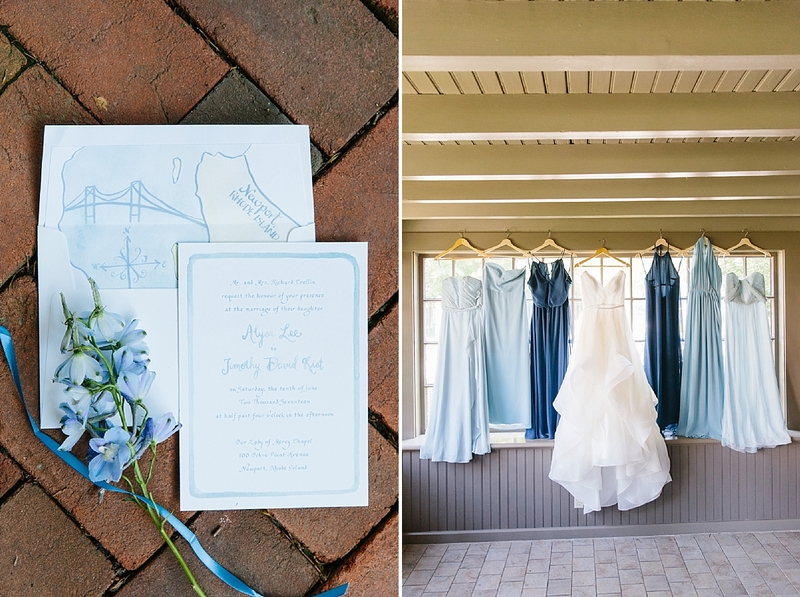 Alysa chose shades of blue for the bridesmaids, the Tim and the guys were in classic Tuxedos. 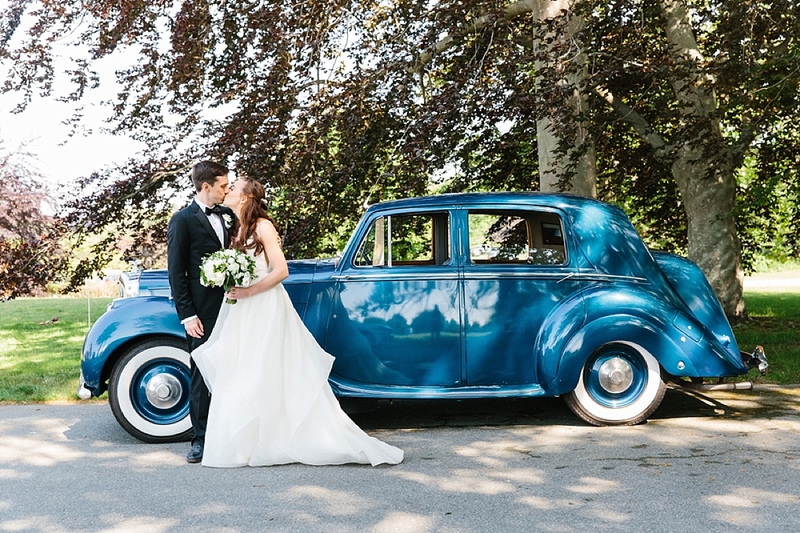 A bright blue vintage car took the couple to the church. 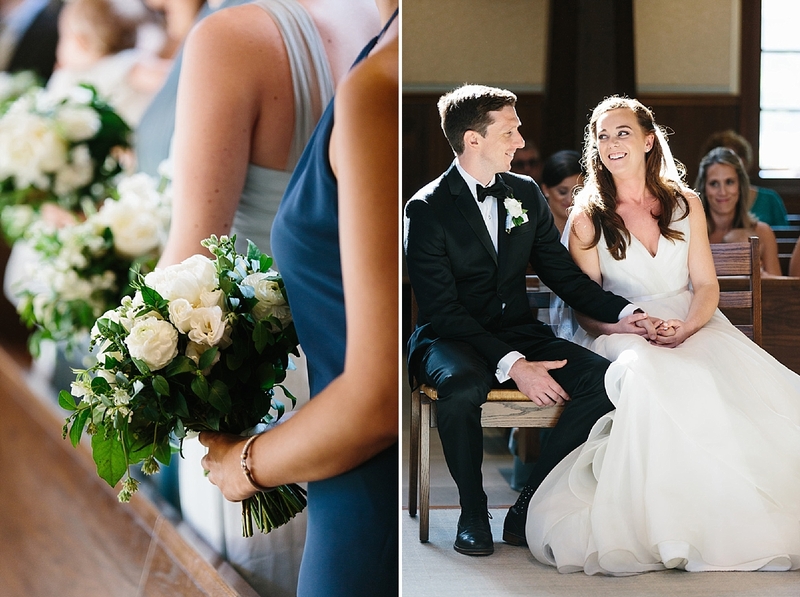 They chose to have their ceremony at Salve Regina’s chapel, so perfect! 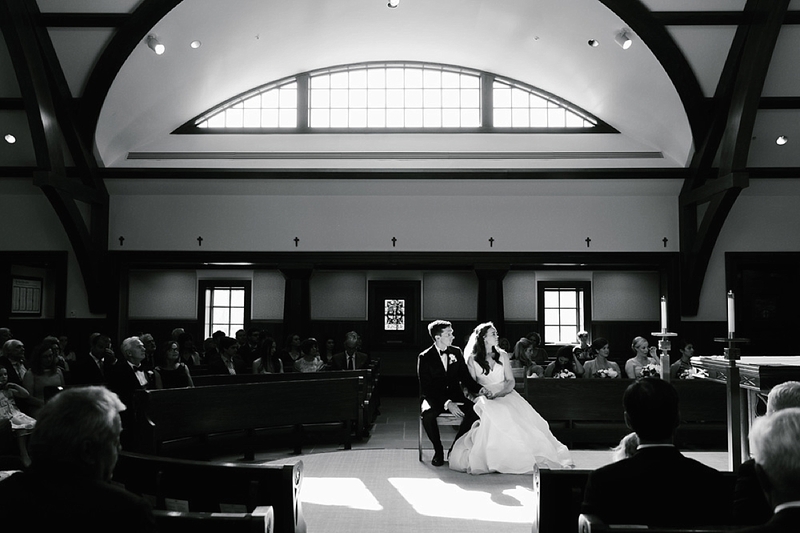 The sun shone through at the perfect moments creating the most beautiful shadows. 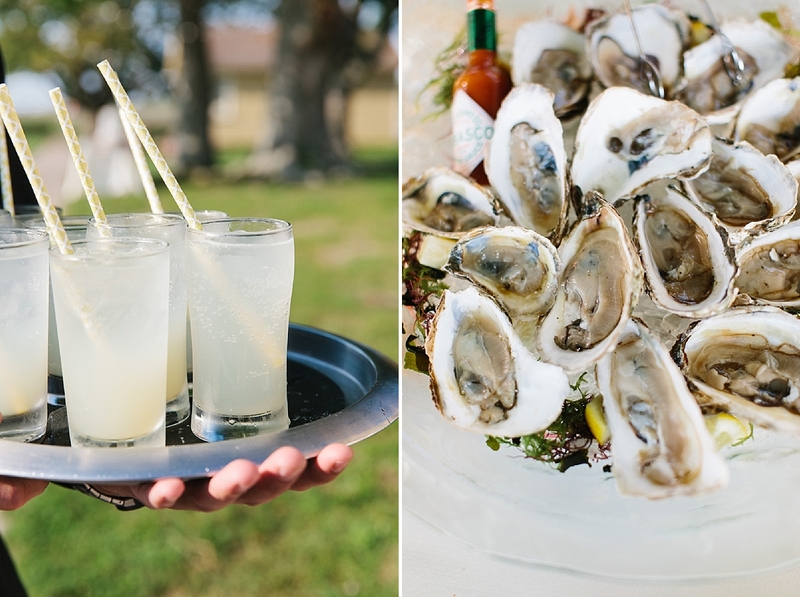 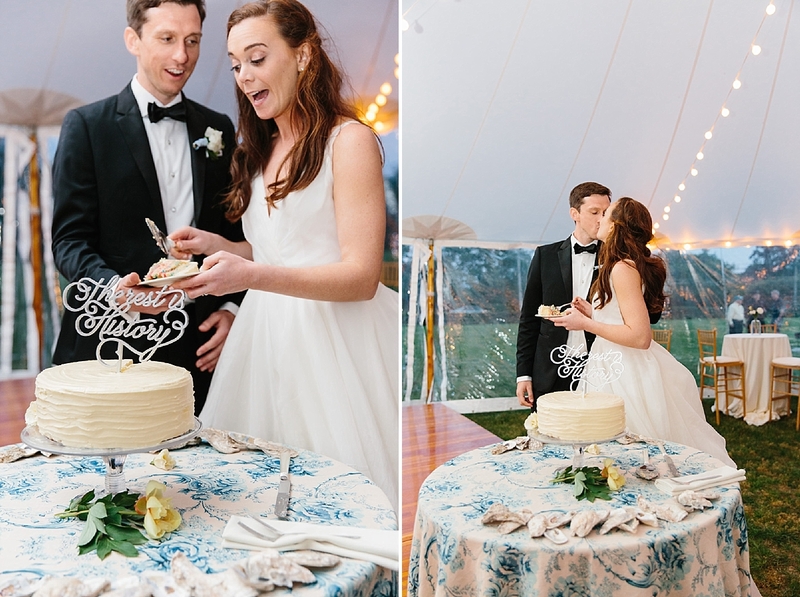 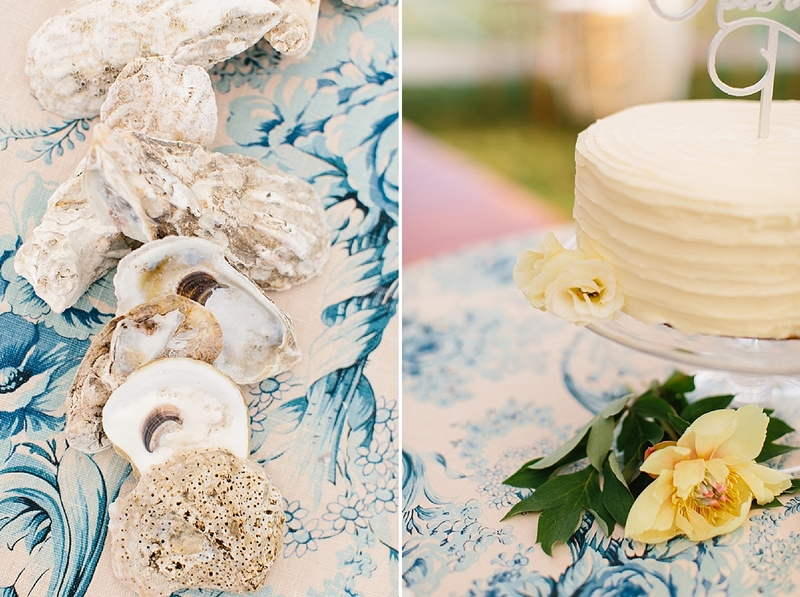 I loved how they put Oysters everywhere at the ceremony, from the Raw Bar to the Cake table to the invitations, the theme was carried throughout the beautiful tent. 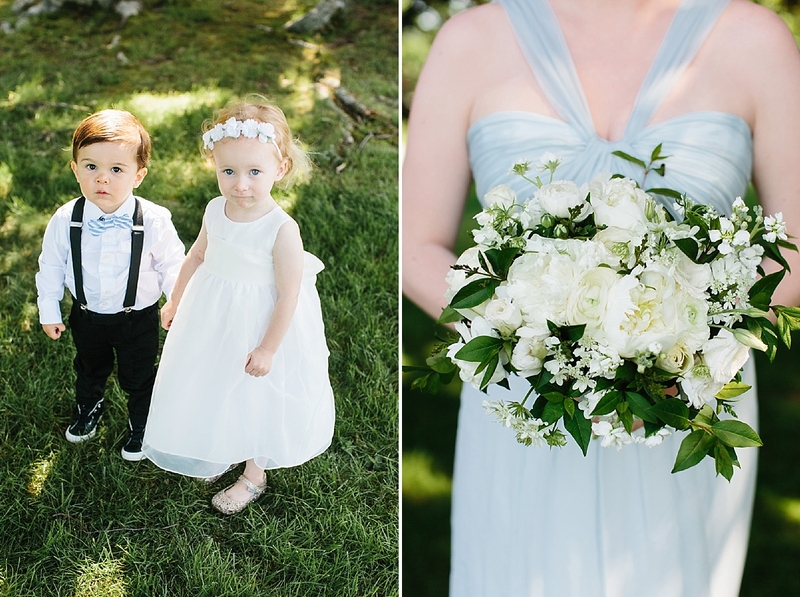 These two had SO much fun and I’m so honored to have been a part of their day. 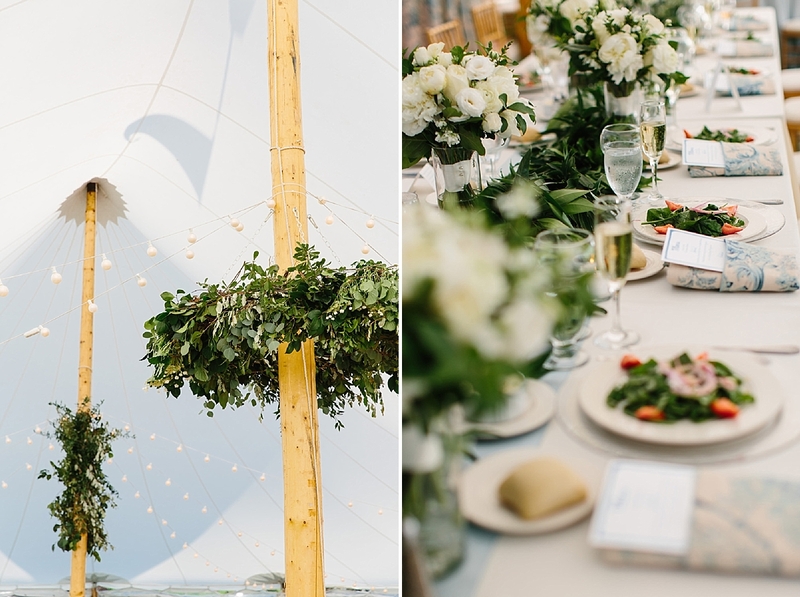 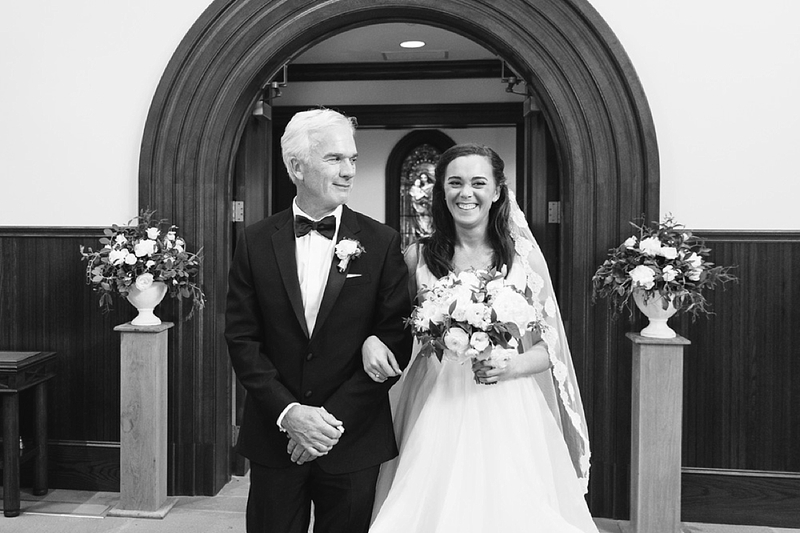 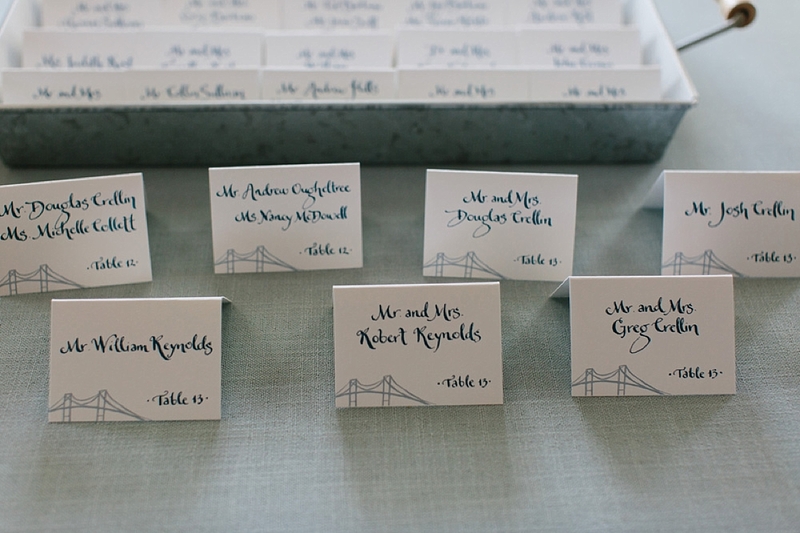 You can see more images as featured on Grey Likes Weddings! 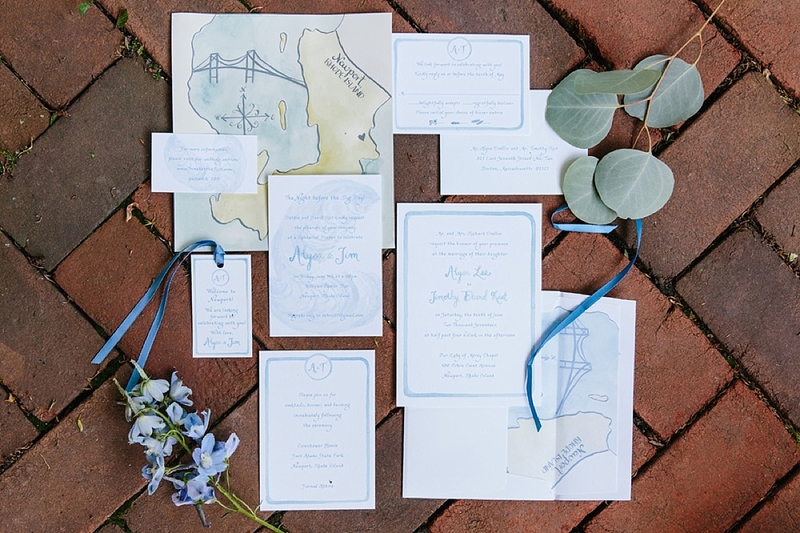 Why a Fort Adams Wedding? 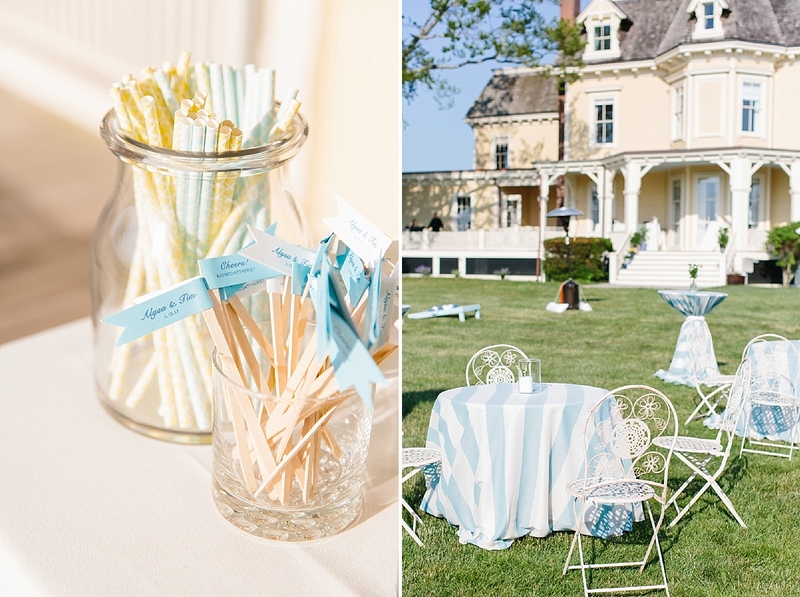 Newport, Rhode Island has long been known for its gilded mansions and breathtaking views of the Atlantic Ocean. 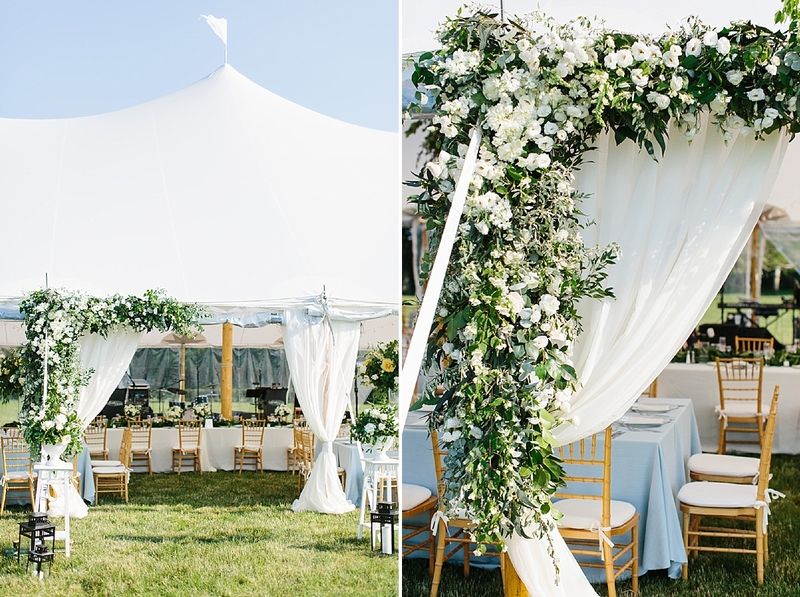 It is the perfect place to get married. 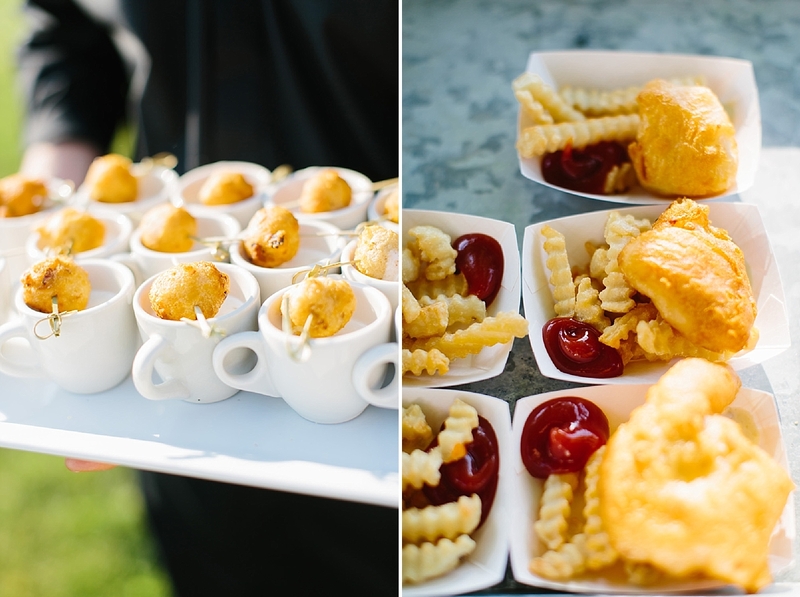 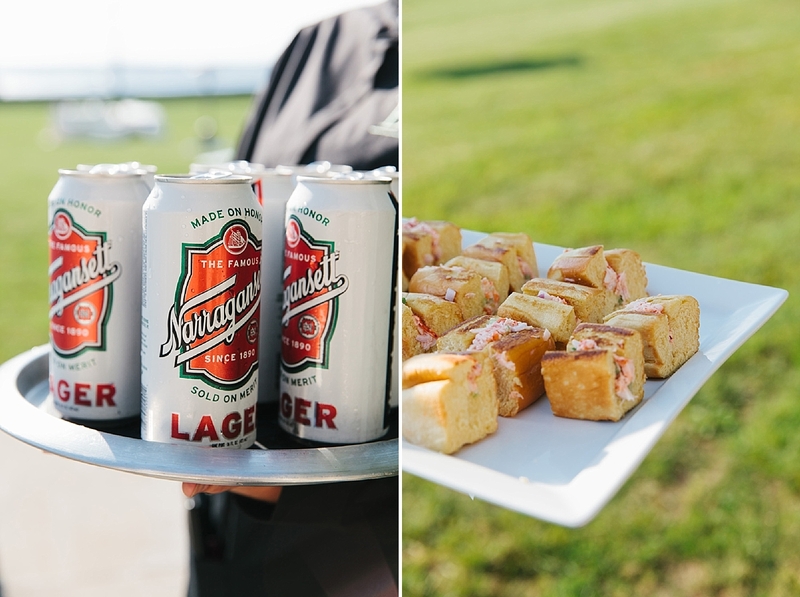 A Fort Adams Wedding is simply magnificent. 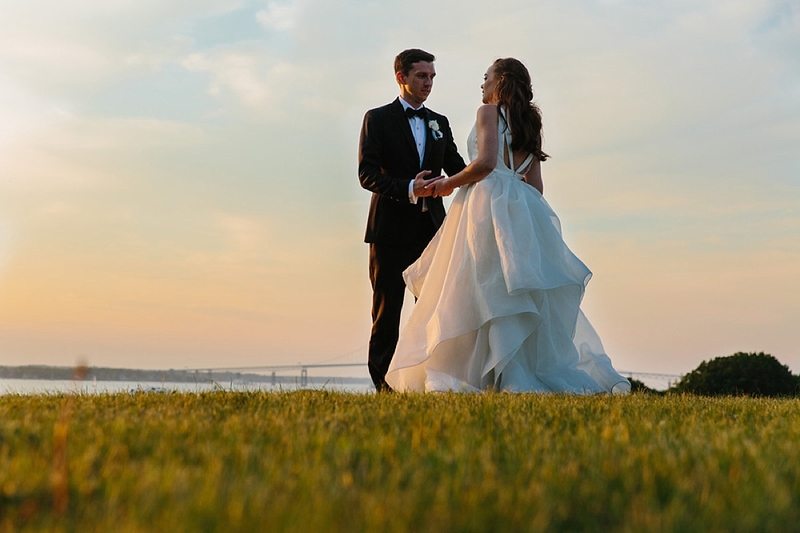 As one of Newport’s crown jewels, Fort Adams boasts amazing architecture, spectacular views and historical significance that will add to your wedding story for years to come. 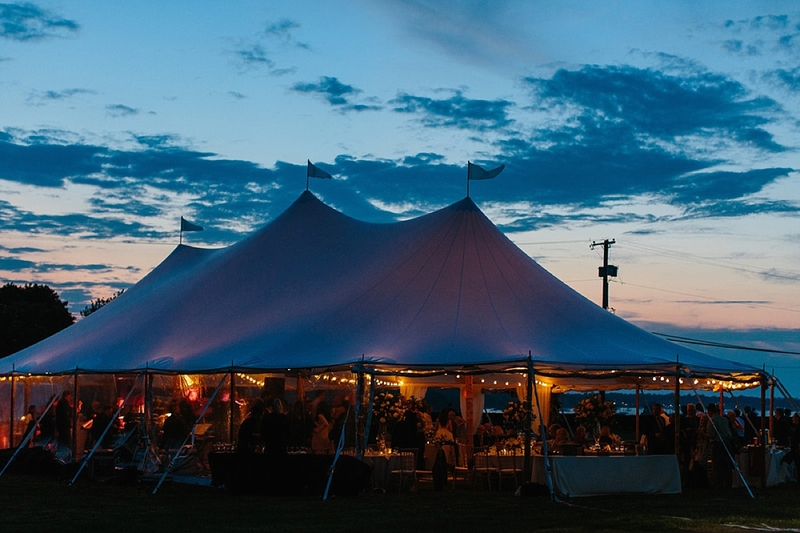 Fort Adams offers sweeping views of Narragansett Bay and Newport Harbor. 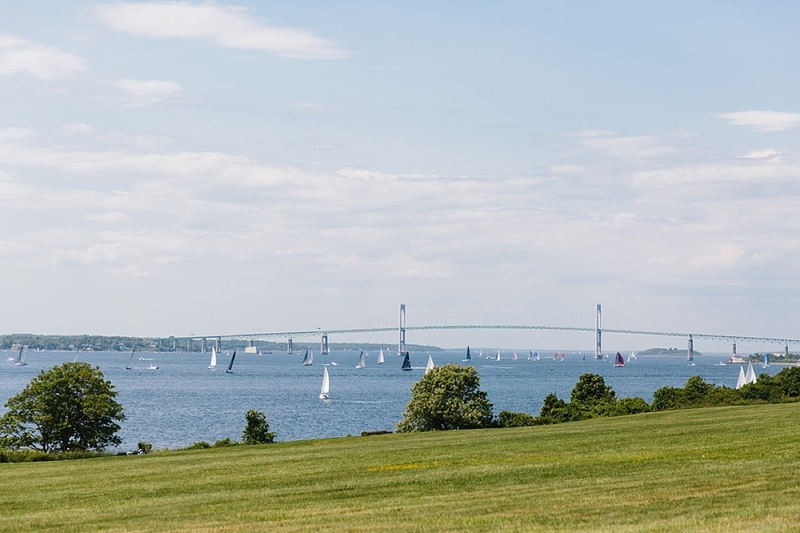 Located on Newport, Rhode Island, just minutes away from downtown, Fort Adams has historically been tasked with the duty of protecting the country from enemy fleets. 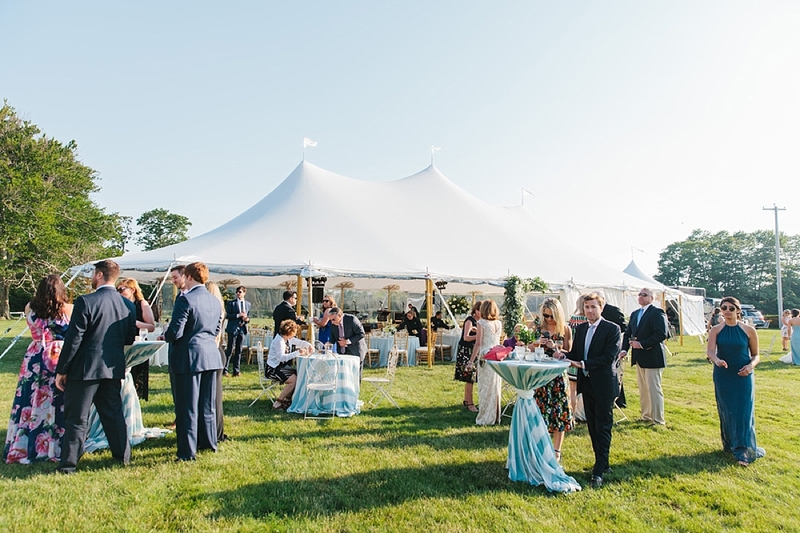 In 1799, Fort Adams was built as part of the first system of US fortifications and named for the President in office at the time–President John Adams. 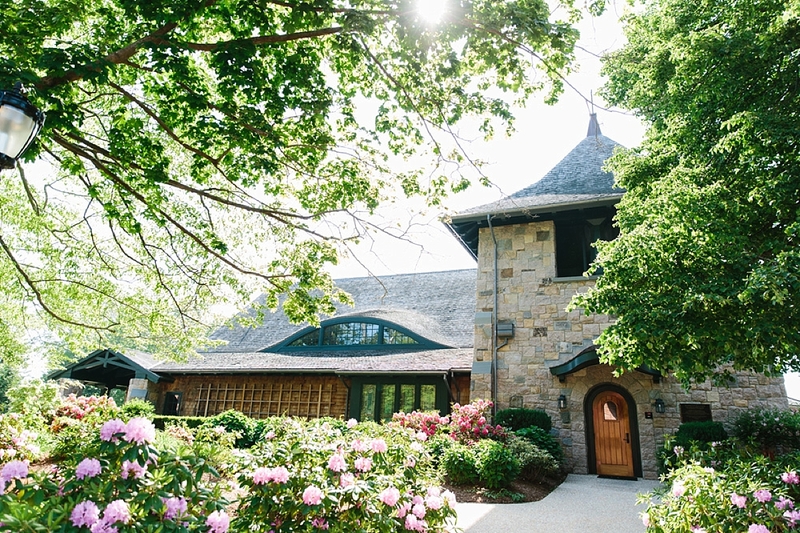 Fort Adams was declared a National Historic Landmark in 1976 thanks to its unique military architecture. 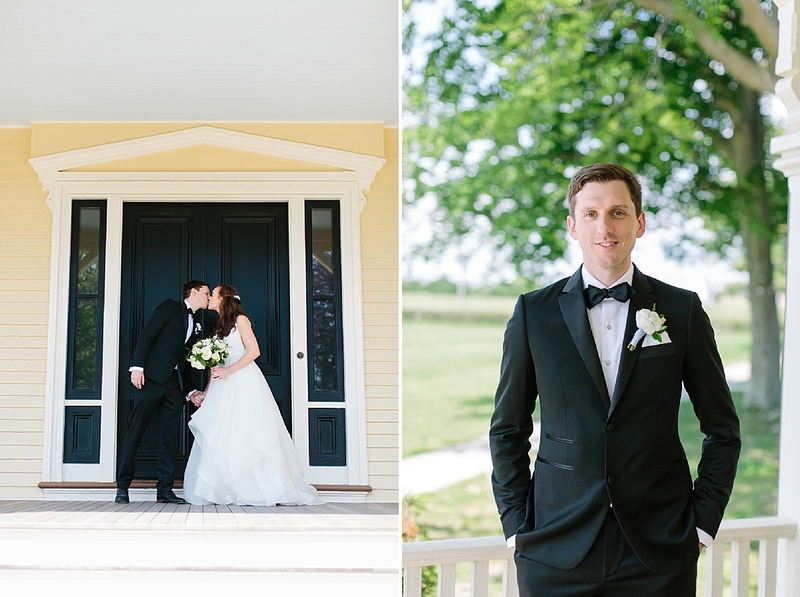 The architecture and scenery are not the only reason to choose this wonderful place. 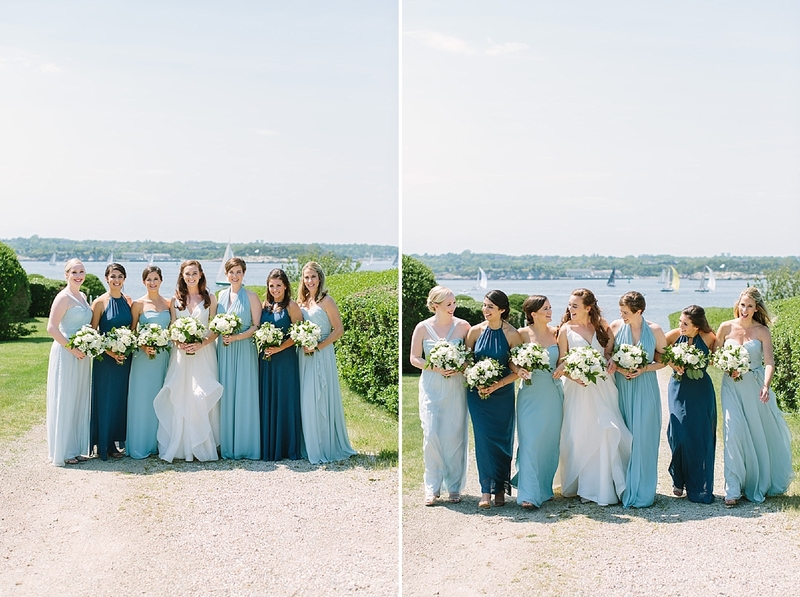 Can I fit all of my guests for a Wedding at Fort Adams? 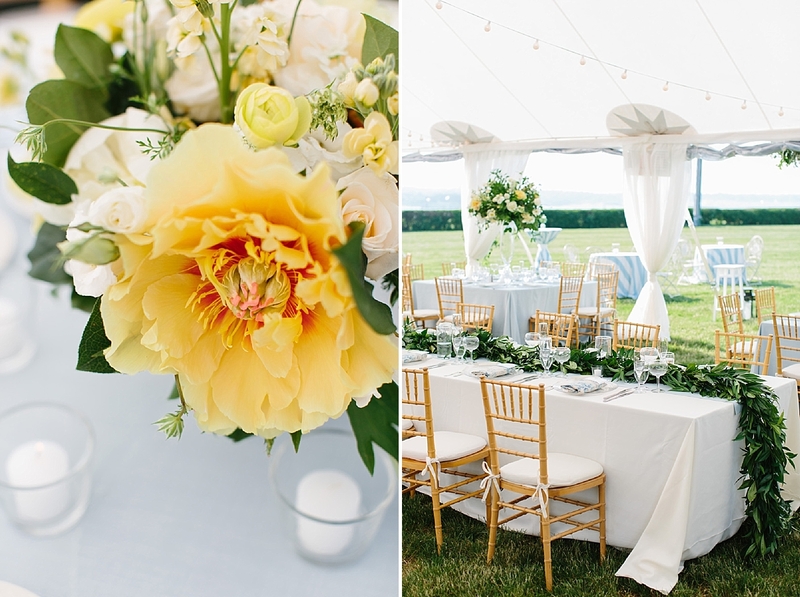 Whether you want an indoor space or want to have your wedding outside with the best views in town, Fort Adams has the ideal space. 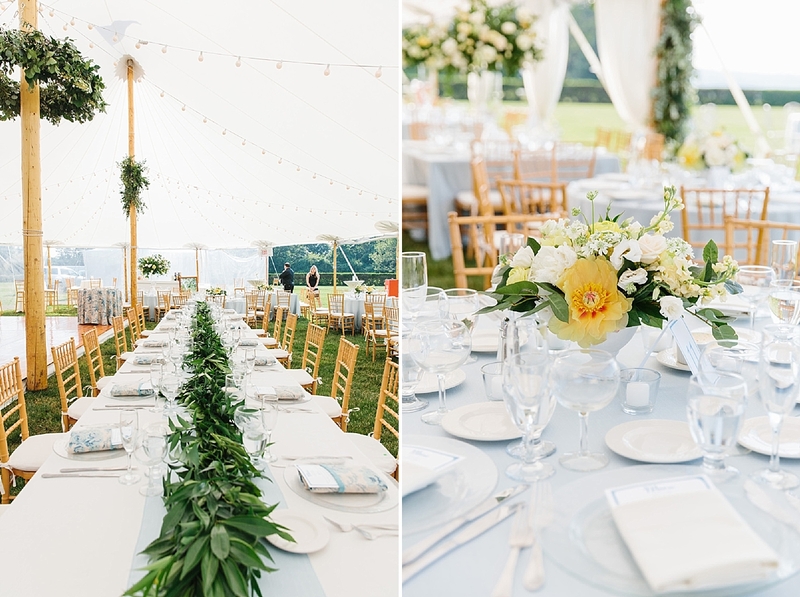 It doesn’t matter if you are planning a small wedding with 20 guests or an epic gala with 600 guests, this venue has what you need. 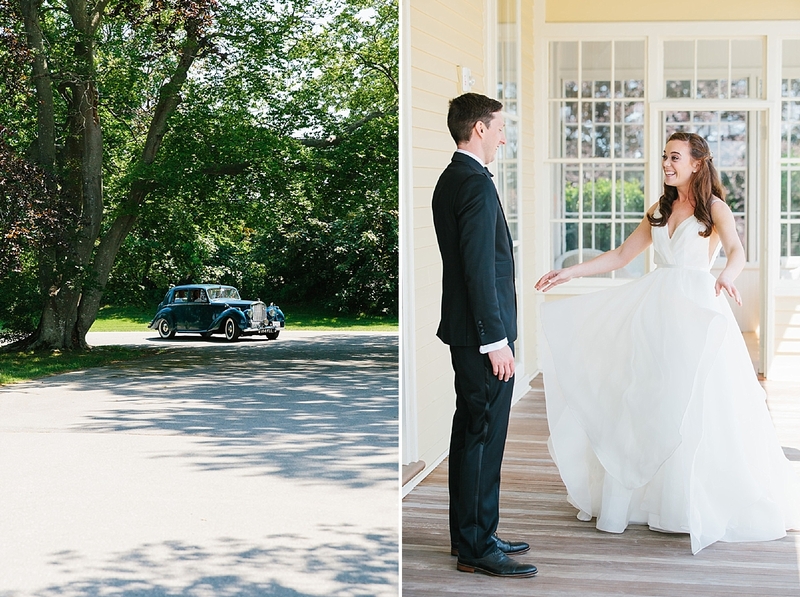 With its distinctive look and eventful history, Fort Adams is perfect for couples who would like to add a stately touch to their wedding day. 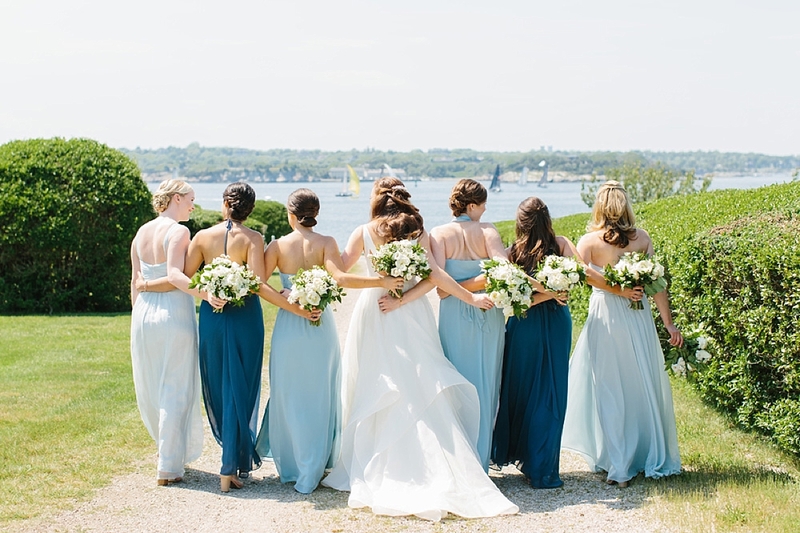 The unique waterfront views, sprawling outdoor event spaces, and one-of-a-kind indoor venues makes Fort Adams one of the most photogenic wedding venues on the Eastern Seaboard. 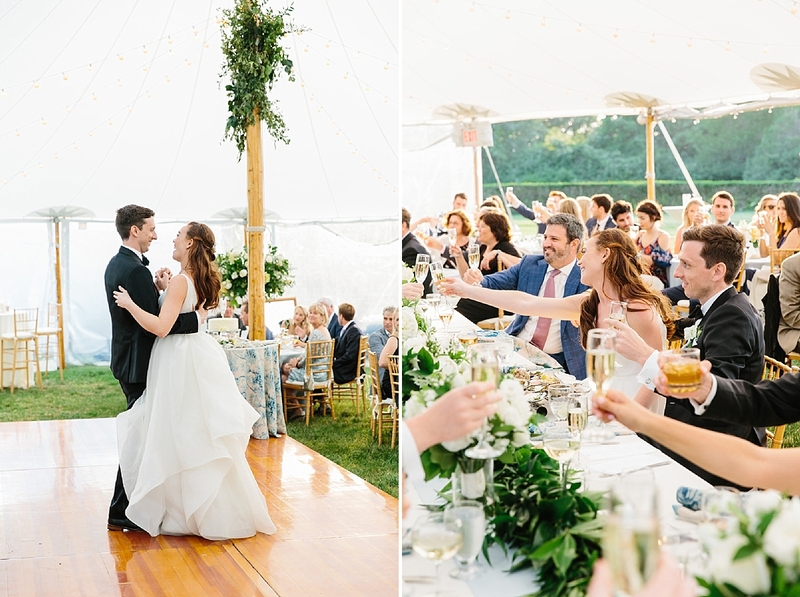 Whether you want to capture the joy of dancing under the stars, sunset pictures against the backdrop of the magnificent Atlantic, or intimate photos against the charming brick-and-wood interior of the fort, Fort Adams offers everything your heart can imagine. 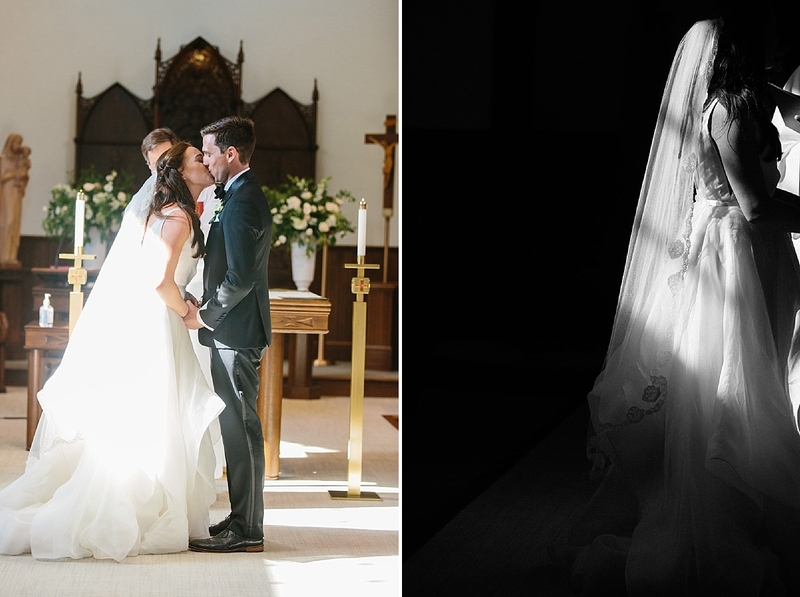 As an experienced New England photographer, I love working with couples to express their unique personalities and raw emotions against the gorgeous backdrop of Fort Adams’ versatile spaces. 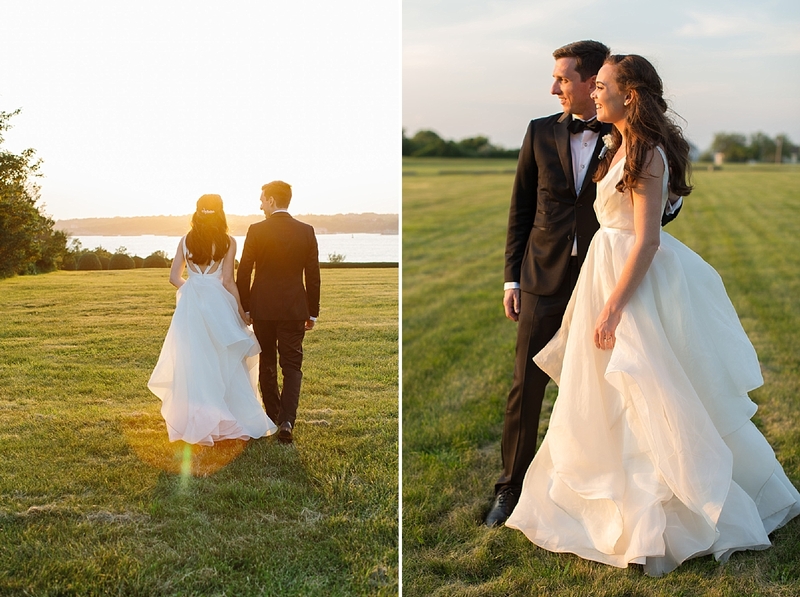 This is one of my favorite places to photograph. 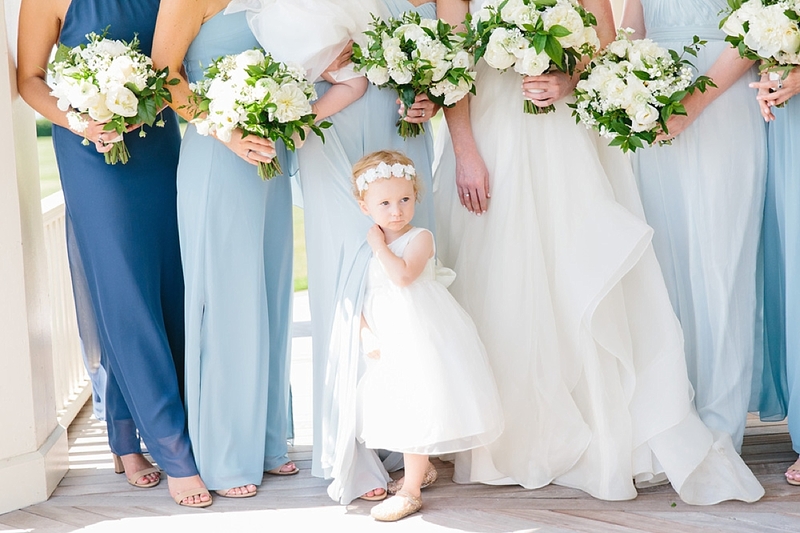 it has a wide variety of memorable picture spots that will allow you to relive your perfect day again and again. 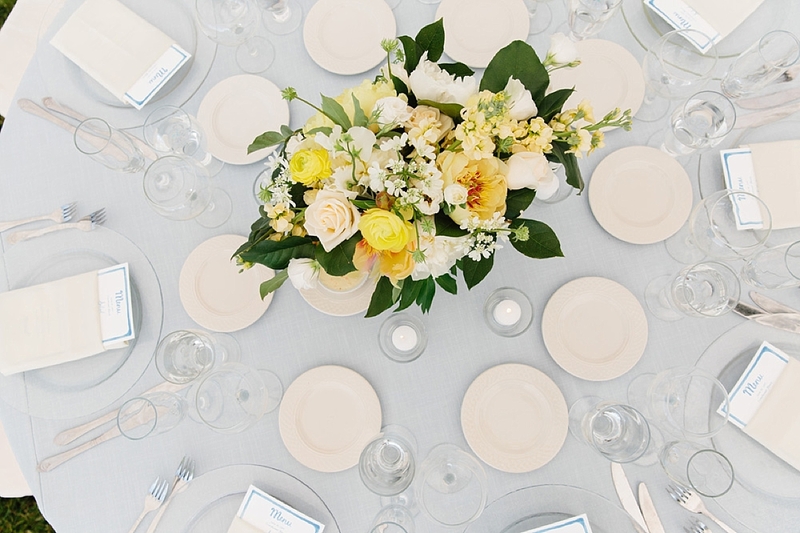 If you have been looking for an elegant, meaningful venue to host your wedding, look no further. 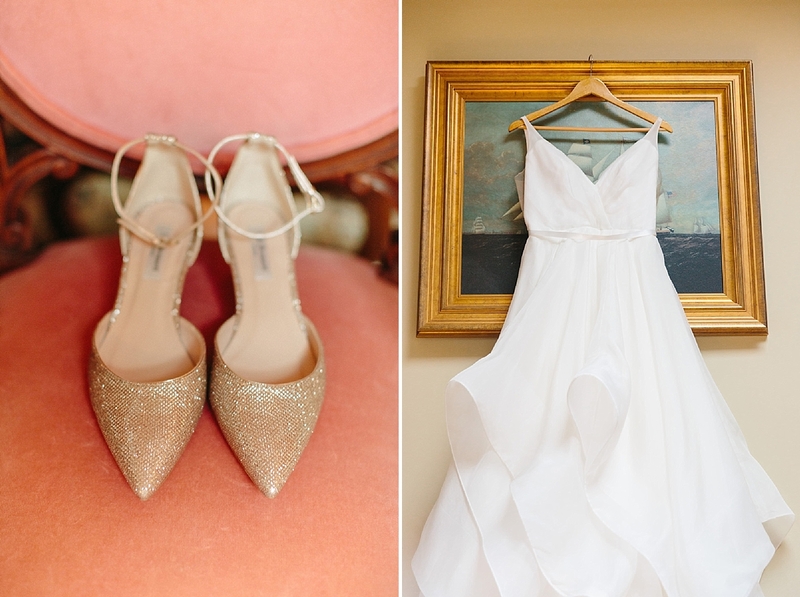 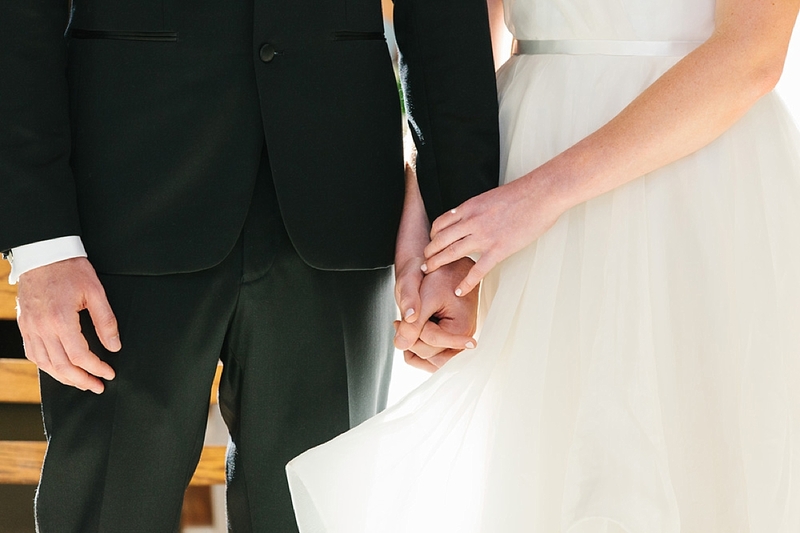 A Fort Adams Wedding is sure to give you everything you need for the wedding of your dreams.